For our 2018 Rainmakers, success isn't just about fame and fortune. It's also about making a contribution to the logistics field and advancing the profession. Some measure success by salaries and titles. Others use a different yardstick altogether. Take the eight professionals selected as our 2018 Rainmakers, for example. When asked about their proudest professional accomplishments, one cited the satisfaction of watching protégés go on to achieve greater glory, while others pointed to the teams they've built and led. "Nothing is more rewarding than making a difference in someone's life by helping them develop their skills and realize their potential," wrote one honoree. So who are these Rainmakers and how were they chosen? As in the past, DC Velocity selected the 2018 Rainmakers in concert with members of the magazine's Editorial Advisory Board from candidates nominated by readers, board members, and previous Rainmakers and DCV Thought Leaders. This year's selections represent different facets of the business—from practitioners to analysts to consultants to technology providers. But as the profiles on the following pages show, they're united by a common goal of advancing the logistics and supply chain management profession. If you'd like to nominate someone for our 2019 Rainmakers report, please send your suggestions to DC Velocity's editorial director, David Maloney, at dmaloney@dcvelocity.com. Supply chain management was not part of Mark Baxa's original career plan. When he graduated from the University of Illinois with a degree in agronomy and crop science, Baxa expected to work on the commercial side of the agribusiness world. And he did. But then, five years into the job, he became an international product manager at Asgrow, the UpJohn Co.'s seed business, where he was first exposed to supply chain management. That's when he caught the supply chain bug, seeing it as the "engine of innovation and where businesses truly compete." That newfound passion led to a series of 24 increasingly more senior supply chain leadership roles at what became part of the agrochemical giant Monsanto Co. (Asgrow was acquired by Empresas La Moderna from UpJohn and then by Monsanto in 2005.) In April of this year, he retired as the Global Procurement Center of Excellence lead for Monsanto to form an international supply chain consulting group called FerniaCreek LLC. 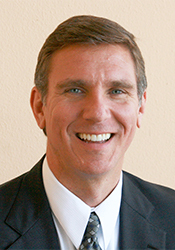 Throughout his career, Baxa has given back to the profession. 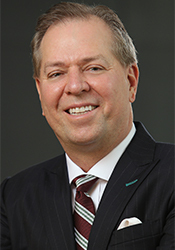 He just completed a four-year term with the board of directors for WEConnect International, a nonprofit focused on developing women-owned businesses, and he is the incoming chairman of the board for the Council of Supply Chain Management Professionals (CSCMP). Q: Why do you feel participating in industry groups is important, and what have you gotten out of the experience? A: Where do I begin? Industry associations like CSCMP provide support to supply chain professionals to do the things we need to do but faster. For example, I recall receiving a very big deliverable—I was charged with developing and delivering a new distribution model—and I needed access to expertise. Within the first month of joining CSCMP, I was introduced to a supply chain leader who did this for their company. I will never forget the access CSCMP provided to the network of professionals that did indeed help me solve a number of critical supply chain challenges throughout my career! Q: What is one supply chain project or initiative you've worked on that you found to be particularly memorable? A: The biggest and the most challenging yet rewarding experience I had was leading the development of a truly global logistics function [at Monsanto]: global trade & compliance. This included the build-out of the organizational structure, roles, competencies, business processes, policies, logistics, suppliers, training, networks, and digitization to serve our customers while preserving our freedom to operate. What made it particularly memorable? Beyond all of the really cool things we developed and accomplished, it was the people. Bringing talent to the function and creating a global culture of cross-regional collaboration to ensure products were delivered and the work was performed correctly gave me the biggest satisfaction. It was about them. Helping others achieve their goals. It was also a challenging time. I learned that the complexity and evolution of optimizing standardized processes with IT systems takes courage and a will to persevere. It was truly amazing to see how people from around the world came together to create a new business model. It wasn't easy, nor was it perfect, but we made it happen together. Q: What advice do you have for someone who is looking to move into more of a leadership role? A: Look for opportunities to bring value to the organizations you work for by developing and leading people. Start out with the work you are responsible for, and while being inclusive, graduate to cross-functional project leadership opportunities. Seek out other leaders to mentor you, ones who will take an active interest in helping you grow and develop. Attach yourself to organizations like CSCMP that add value to you and where you can help others by leading within them as well. My advice to follow as a leader? People really want to be associated with those who demonstrate genuine care and concern for others above themselves. Q: What advice do you have for companies that are looking to develop top supply chain talent? A: I believe fully in the 70/20/10 development model: 70 percent is learning in the role, 20 percent through mentorship and coaching, and 10 percent through capability-building coursework and training. Companies that want to win won't limit themselves and their people by ignoring the 20 percent or the 10 percent. Fund your training programs and mean it. Your people want to know you support their development, and if you show them you do, your retention and business results will reflect it. It's not what you might expect to hear from a software executive, but Sheila Benny says her guiding principle is to help people and make the world a better place. Those who know her say it's not just talk. As one of the executives who nominated her for this recognition wrote, "She is fiercely passionate about the positive [impact] supply chain activities ... can make on the world [and] lives that belief daily, as a promoter of professional, educational, volunteer, and research activities focused on improving daily life through supply chain excellence." The record bears that out. 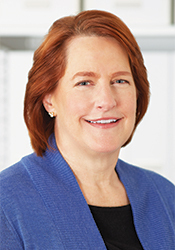 In addition to her "day job" as executive vice president and founding partner of Optricity, a company best known for its slotting optimization software, Benny has been heavily involved with the Warehousing Education and Research Council (WERC), including a stint as the group's president. She recently joined AWESOME (Achieving Women's Excellence in Supply Chain Operations, Management, and Education), a group dedicated to advancing women's supply chain leadership. She works throughout the year to attract the best and brightest talent to the profession through her involvement with the Supply Chain Management Program at North Carolina Wake Tech and various mentoring activities. Benny has also lent her technical aptitude and support to a number of nonprofit organizations that rely heavily on logistics and supply chain services, including One Warm Coat, the North Carolina Food Bank, and the American Logistics Aid Network (ALAN). Q: You have a background in industrial engineering, technology, and marketing consulting. How did you get involved in logistics and supply chain management? A: My passion has always been first and foremost to help people. For me, leaving the world a little better than I found it is not just a talking point; it is a guiding principle that I've lived by since I was young. Concurrently, I have always been interested in systems—in particular, complex systems—and solving complex problems. Often, this type of problem solving is best served with the accompaniment of advanced technology. Industrial engineering provided the perfect platform to study the intersection of humans, system design, and their interfaces. Running a software company in the supply chain industry allows me the opportunity to serve my greatest passion: helping people. In this case, the benefit of our software is to consistently assist employees who work in the warehouse. Additionally, launching a small business has provided me with the ability to impact my employees and the community, while also advancing the science of warehousing. Q: You're currently shepherding Optricity's evolution from a single-product company to a multi-product one. What are some of the challenges you face? A: One of my biggest challenges has been to ensure that each element of our company evolved at a pace commensurate with the others, so that, overall, the company maintained the correct balance and our core values remained intact. Our number one value remains: customers first. As we venture into our product expansion, the industry may place high expectations on our new technologies before they ever hit the market due to the reputation of our current product, which is often considered synonymous with our company brand. Now that we've fully tested with our integration partners, we're ready to launch. The challenge may be that we're getting ready to create an entirely new market category. I might need a little help determining how to craft the right positioning statement as nothing like it exists in the marketplace—this is truly disruptive technology. Q: You've been an active member of WERC, ALAN, and other industry organizations. Why is that important to you? A: Advocacy, service, and leadership are essential duties our industry often fulfills through volunteer roles in professional associations; noting this, I have always felt a strong sense of responsibility to give back. Q: What advice would you give to someone just entering the supply chain profession? A: My advice would be to get ready for a journey that can take you places you never imagined. Stay apprised of business developments both within your vertical and in those adjacent to and opposite where you currently operate. The supply chain industry never stands still. Develop a regular knowledge beat. Read quality trade journals to stay abreast of industry patterns and foresee trends. Get out of your comfort zone so that you can synthesize information quickly and create your own techniques for drawing independent conclusions. Be prepared to deliver solutions that make an impact. Q: What is your proudest professional achievement? A: A professional accomplishment I am proud of is building Optricity from scratch (without outside investment) alongside my two co-founders, Chuck Grissom and Dan Basmajian. I am proud of my contributions to the success of Optricity over the last 12 and a half years. Our team is amazing, we have awesome clients, and my industry partnerships go beyond measure. Rarely in the fast-changing world of supply chain management does a person carve out a 30-plus-year career with a single company. But when that person is Amy Carovillano and the company is the home organization and storage giant The Container Store, it is simply a matter of keeping a good thing going. Carovillano opened The Container Store's first Houston location as store manager in 1988, shortly after joining the company. She then progressed through various roles at the retail chain, helping to shape its culture and business philosophy. Today, The Container Store is an $850 million business with 90 stores nationwide and has been recognized annually as a great place to work. 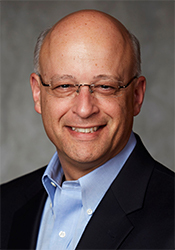 Since 1996, Carovillano has served as The Container Store's vice president of logistics and distribution. She oversaw the move from a small manual warehouse to the automated distribution and online fulfillment operation in Coppell, Texas, that was featured in DC Velocity's January 2018 issue. A second distribution and fulfillment center is scheduled to open in the mid-Atlantic region next year. Q: You've been with The Container Store for more than 30 years. Why have you chosen to devote the majority of your supply chain career to that one company? A: I can't imagine working for another company! I was fortunate enough to start at The Container Store in the very early days, so my career has been very dynamic and challenging as we have grown from a neighborhood Dallas store into the nationwide omnichannel retail brand we are today. It's been a great career journey—and why would anyone leave a company that has been on Fortune magazine's list of Best Places to Work in America for the past 19 consecutive years? Q: What major changes have you seen in your supply chains during your time with The Container Store? A: When I took over distribution at The Container Store, we were paper pulling on dot-matrix printed "greenbar" in a small warehouse that served our stores and a few mail order customers, and we sourced most of our inventory from domestic suppliers. Now, we're voice-picking omnichannel orders with automation, measuring employee performance with a labor management system in a 1.1 million-square-foot distribution center with inventory sourced from all over the world. So, I'd say things have changed quite a bit. Consumer expectations are driving change and putting pressure on every element of the supply chain to be faster, more accurate, more customized, more data-driven, and more agile. The advances in technology and data analytics have enabled amazing innovation—it's an exciting time to be in our field. A: The key to success has always been to surround yourself with talented, passionate people, and that still holds true today. With the demands of today's fast-paced supply chain operations, it's even more crucial to build a culture and team environment that attracts, retains, and motivates high achievers. Q: What has been the biggest challenge you've faced in your career? A: Navigating change is always difficult, and it's so important to keep your team positive and motivated. Leading a company through decades of sustained growth, an IPO [initial public offering], the recession, and the changing retail landscape has been pretty challenging, but I would have to say doing this while strengthening our culture and focus on our employees has been the most challenging—and rewarding. Q: What is your proudest professional achievement, and why? A: No question—it's my amazing team and the people I've worked with over the years. Nothing is more rewarding than making a difference in someone's life by helping them develop their skills and realize their potential. Q: What advice would you give someone just entering the supply chain profession? A: This is a high-growth, fast-paced profession; you've made a great choice! Surround yourself with greatness: a mentor who nurtures you, a boss who develops you, a team that challenges you. Be committed to continuous personal improvement. Meet and talk to as many people as you can. Go to conferences, be a voracious reader, be curious, and ask questions. There are so many different aspects to supply chain; it's important to explore and understand where your passion and skills align with the needs of the industry. As the senior vice president and chief supply chain officer of La-Z-Boy Inc., Darrell Edwards leads an operations team of 5,500 employees. Since joining the 91-year-old reclining chair and furniture manufacturer and retailer in 2004, Edwards has created the company's Supply Chain Operational Excellence (SCOE) initiative, realigning every component of La-Z-Boy's supply chain strategy and forging new ways to work with suppliers. He was also one of the lead executives who implemented "cellular" production—a type of lean manufacturing—across La-Z-Boy's branded manufacturing facilities, which reduced costs and increased production speed and quality. Edwards is on the advisory board for the Global Supply Chain Institute at the University of Tennessee and is a member of the Michigan State University Supply Chain Management Council. Q: What's your proudest professional achievement, and why? A: I am most proud of the supply chain teams I've had the chance to help build, assemble, and lead. Regardless of the situations they inherited, either performing well or not, I was pleased at how they worked together collectively to achieve the goals of the business and worked diligently to leave it better than they found it. Q: What drew you to the field of logistics? A: I began my career in supply chain as a young person, really not knowing what I wanted to do specifically, but I knew I enjoyed competition and I knew I liked being part of a team. Through serendipity, my first "real job" was in manufacturing, and as my responsibilities expanded, I began to see that all of the things I wanted most in a career were really found within the global supply chain. Now, I find myself working for a great company and being part of a fantastic team, where we compete on a global stage, and—oh, by the way—I get to travel the world. Q: What are some of the biggest changes you've seen during your career? A: There have been a few seismic trends within business in general, and clearly logistics and the greater supply chain haven't been immune to them. First, the speed of business has increased tremendously; producers have never been asked to produce faster. Additionally, technology integration within practically every market sector has enabled this incredible market responsiveness. Along the same theme, customer expectations are greater than ever before; speed of delivery, quality of products, and price competitiveness are all part of the customer equation. Never before have I seen a more informed and savvy customer. As business leaders, we must be equally informed and savvy if we are to compete and serve our customers well. One of the last big changes I have seen is that conventionally held paradigms are now being broken more frequently and faster than ever before. When I started my career in supply chain, I never envisioned people buying large consumer goods like cars on the Internet, or customer orders being taken and delivered within hours, or artificial intelligence (AI) being integrated into our daily business lives. Today's supply chain is clearly not the supply chain I grew up with. Q: What are some of the truisms that should be forgotten? In other words, what rules do companies need to break? A: Every day, companies are "breaking the rules"; those are the disrupters, and some of them may emerge as future market leaders in their segments. With that said, one of the old rules that's sometimes worth breaking is the notion that you always have to play it safe. It's OK to take a few more risks—not "bet the farm" risks but incremental risks—and when that is done more frequently, it can have a compounding and cumulative effect. Even when we fail, we still learn. I tend to believe moderate risk-taking is a skill that can be refined, and more times than not, creates value. Q: What advice would you give someone just starting a career in supply chain management? A: First, I would say congratulations ... you've chosen an amazingly exciting and rewarding profession. Very few business careers will be more impactful to the organization than that of the supply chain; you are now a part of the central nervous system of the business. With that said, I would suggest a young supply chain leader build partnerships both inside the business and outside the business. This will always pay dividends. And become a lifelong learner. Never, ever stop learning. You will never find a better investment than investing in yourself. Todd Greener knows how to manage change and improve supply chains. 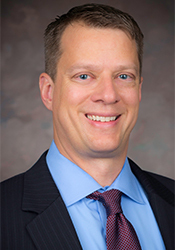 As senior vice president supply chain for Advance Auto Parts, he has created a five-year strategic business plan to improve performance and transform operations at North America's largest automotive aftermarket-parts supplier. Two years into the program, the company has addressed cultural and operational issues, initiating quality programs such as Lean Six Sigma and enhancing both the logistics and warehousing/distribution sides of the business. Some key improvements to date include a 6-percent productivity improvement through procurement, route/asset optimization, and lean DC operations projects, as well as the successful startup of two 450,000-square-foot greenfield distribution centers with new technology platforms. Greener's quarter century of industry experience is a key driver of the changes at Advance Auto Parts. Prior to joining the company in 2015, he spent 20 years at General Electric Co., serving as general manager, distribution operations at GE Appliances and general manager, service parts supply chain at GE Transportation. He also held supply chain and finance leadership roles at GE Lighting, GE Corporate Audit Staff, and GE Aviation. And he continues to give back to the industry, participating as a member of the Supply Chain 50, the Fortna Advisory Board, and the Gartner Enterprise Supply Chain Leaders Peer Forum, among other local and national organizations. Q: What attracted you to the logistics/supply chain field and what motivates you to continue your work each day? A: The significant impact that the supply chain has with customers, shareholders, and team members and the continuous improvement opportunities to optimize safety, service, and productivity in such a meaningful way. Q: You are leading a major supply chain transformation at Advance Auto Parts that includes improvements in processes, systems, and automation. In a nutshell, what were your goals and what impact has the project had to date? A: We are currently in year two of a five-year transformation. Early in our strategic business planning process, it became clear that we had an industry-leading base of assets, products, and team members, but at the same time we were underperforming and needed to transform the customer experience, transform our operating model, and transform our culture. We started on the culture piece by defining a common set of cultural beliefs that defined what we stand for and how we will work. There were also several organizational improvements that came out of that effort. We spent a lot of time understanding the shape of industry demand, mapping our key customer touchpoints, and defining improvement opportunities. We also spent a lot of time looking at our operating model and defined a multiyear productivity roadmap across the material spend, supply chain, and selling, general, and administrative categories. Out of those planning efforts, we've implemented a number of customer-facing and operational improvements, including the initiation of Lean Six Sigma, service excellence, and environmental, health, and safety organizations; implementation of telematics and delivery software in our professional delivery fleet; optimization and standardization of store replenishment frequency; and the announcement of closing our Gallman, Miss., distribution center. It has been a massive change agenda, and I'd like to thank all of our team members who have worked so hard to make these changes successful. Q: As someone with more than 25 years' experience in logistics and supply chain, what are some of the greatest industry changes you have seen in your career? A: As computing power and cost have exponentially improved, the customer experience and the cost of that experience have been transformed. Also, university supply chain programs have become so sophisticated and well integrated into the industry over the past 25 years. In addition, the quality of industry publications and networks has improved tremendously. It has never been easier to find help with a particular problem, statement, or challenge. A: The strategic and tactical importance of the supply chain function and processes to a company's success and the optimization of multiple safety, service, and cost metrics. Q: What advice would you give to professionals just entering the industry? A: Gain as many foundational assignments as you can across a broad group of disciplines, including procurement, inventory planning, manufacturing, DC operations, transportation, and enabling functions such as quality, analytics, technology, facilities, program management, and safety. I'd also recommend taking the tough assignments/projects—they are significant investments but can be incredibly rewarding and valuable to your career. Finally, seek to build a broad network and utilize external resources to find solutions and best practices. John Larkin wonders if he ended up in logistics because of some kind of genetic predisposition. Like his father, he has simply always been interested in transportation, especially trucks. But unlike his dad, Larkin says, he has been fortunate in that he could marry that passion with a vocation. Larkin began his transportation career in 1977 as a research assistant at the Center for Transportation at the University of Texas at Austin. 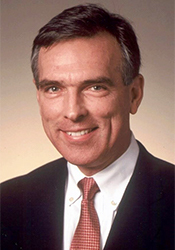 After going on to obtain his bachelor's and master's degrees in civil engineering from the Universities of Vermont and UT-Austin, respectively, as well as an M.B.A. from Harvard University, Larkin spent three years at CSX Transportation in various planning and economic analysis capacities. In 1987, he embarked on what would become a 30-plus-year career as one of the industry's most renowned securities analysts, rising to become managing director and head of the transportation practice at investment firm Stifel. As with all of DCV's Rainmakers, there is more to Larkin's accomplishments than his resume might disclose. For instance, one of his passions is working with young people and cultivating talent. "What may be the most satisfying part of my career has been working with younger folks," he says. "Many have gone on to much greater professional heights than I will ever achieve. Watching young people learn, grow, and blossom professionally is truly one of most gratifying things I have experienced." Q: You are considered one of the top financial and market analysts specializing in logistics operations and performance. How did you become interested in logistics, and what keeps you interested in the profession? A: My lifelong fascination with transportation and logistics seems as though it was a natural, inborn interest that was reinforced by my dad's love of transportation. It was his true love, but the sad thing was that he never found a way to make a living in the space. Right from the beginning, I used to hang around the airport, railroad stations, and highway construction sites. Access was often via my bicycle, which, in those days, gave kids a lot of mobility—as long as you were home by dinner, you were in good shape with Mom. Trucks have also been a big part of that lifelong fascination and were the focal point of my master's thesis. Call me a transportation geek, if you will. In retrospect, what a joy it has been to work in the industry that also happens to be your avocation. As for continued interest, it is the accelerating pace of change and the avalanche of technology applications that keeps one on his toes. And, of course, all the great people in the industry keep life interesting. Q: With your many years of experience in the profession, what has been the biggest change or advancement that you've seen in the industry? A: Without question, it was the deregulation [of trucking] in 1980. Those with a better and/or lower-cost "mousetrap" had a real opportunity to "strut their stuff" in a freely competitive marketplace. Contemplate, for a minute, the value created by entrepreneurs who grabbed the opportunity and ran with it. J.B. Hunt, Don Schneider, Sid Verdoorn, Phil Yeager, Russ Gerdin, Jerry Moyes, Kevin Knight, Duane Acklie, and Earl Congdon are just a few of the names that come to mind. The value they created for their customers and their shareholders is almost incalculable. A: The federal government's blockhead-like approach to infrastructure remains largely unchanged. Not since the completion of the Interstate Highway System 40-plus years ago have we benefited from any creative thinking on the funding and build-out of transportation infrastructure needed to keep America competitive in a global market. Q: What's on your short list of the biggest challenges facing logistics professionals today? A: The widespread blue-collar labor shortage tops the list of challenges. Effectively, we cannot automate the supply chain fast enough to outrun what has the potential to morph into a truly debilitating driver of a recession. Another issue relates to the management of California's independent contractor and air-quality laws and regulations. Lastly, the enlightened shipper community still represents only a third or so of the total shipper universe. When two-thirds of one's customer base cares primarily about price, a lot of the fun is squeezed out of the industry. This is especially true during periods of surplus capacity. Q: What advice would you give someone just entering the profession? A: Learn as much as you can while you are in your 20s. Take courses, matriculate in grad school, attend conferences, and take every opportunity to build an industry-centered network. And then spend at least one hour a day reading some of the wonderful magazines, newsletters, and blogs that are now readily available on "the Net." There is plenty of time to get bogged down managing "administrivia" as one's career evolves. Chris Norek considers himself blessed when it comes to his education in logistics and supply chain. With degrees from three of the top supply chain schools—Penn State University (B.S. ), the University of Tennessee (M.B.A.), and The Ohio State University (Ph.D.), he has benefited from the tutelage of some of the most prominent academics in the field. When you learn the craft from the likes of Dr. C. John Langley at the University of Tennessee and the late Dr. Bud La Londe at Ohio State, you end up well prepared for success in virtually any facet of the profession. Norek has put that background to use on a number of fronts. On the academic side, he has taught at Auburn University in Alabama, the University of Tennessee, and Penn State, where he is currently an affiliated faculty member. He is also a prominent consultant. Norek today serves as senior partner of Chain Connectors Inc., an Atlanta-based supply chain consulting and software implementation firm he founded in 2001. Prior to founding Chain Connectors, he worked for Cleveland Consulting Associates and Andersen Consulting (now Accenture), consulting with a number of high-profile clients, including Lowe's, SAP, and Cingular Wireless. During his 25-plus-year supply chain career, Norek has also made a point of giving back to the profession. In addition to writing articles for leading journals like CSCMP's Supply Chain Quarterly, International Journal of Logistics Management, and Journal of Business Logistics, he has been active in a number of professional organizations. He is a past chairman of NASSTRAC and has served the Council of Supply Chain Management Professionals (CSCMP) at both the national and local levels. Q: What drew you to the logistics field? A: I took an "introduction to business logistics" course at Penn State with Dr. John Coyle. His enthusiasm for the field rubbed off on me, and he was a great mentor while I was getting my undergraduate degree. Also, my brother suggested I switch my major from accounting since he had recently graduated with an accounting degree from Penn State. He said, "It's too late for me but not too late for you, get out of accounting!" I've never regretted my choice of logistics and supply chain management as a career field and to this day appreciate the advice Dr. Coyle gave me in terms of my career. Q: What has been the biggest change or advancement you've seen during your 25-plus years in the industry? A: The use of data analysis to identify opportunities in companies' supply chains along with the drastic improvements in computing power. I always say to use data to take emotion out of arguments and to make your case. I don't necessarily mean "big data" or predictive analytics, but rather some of the tried-and-true analytical methods, which can be as simple as ABC analysis. It is so much easier to do analysis now either in Excel or other programs than it was when I started. Computing power now allows tools like network optimization to be run quickly on personal computers rather than mainframes. On a very different note, from a procurement perspective, we now need to employ multiple suppliers for each material or component to reduce risk. The old idea of working closely with one key supplier to create a tight partnership and leverage volume doesn't work anymore. Risk mitigation or supply continuity planning is now an enormous part of supply chain management. You need two to three suppliers of each material or component to mitigate risk. A: The shortage of supply chain talent with respect to both industry practitioners and the faculty needed to teach supply chain management; the current transportation capacity crunch; and how to best employ analytical techniques to create information from data. Q: You've been a very active member of several industry organizations. Why is that important to you? A: Three main reasons—to continue to learn, to network, and to give back to the profession. A: First, I would congratulate them for choosing the supply chain field. The future opportunities are tremendous—the field is growing in total and also in the eyes of CEOs. In addition, more and more supply chain folks are becoming CEOs due to the broad training supply chain provides. I would suggest those new to the field get exposed to as many areas of supply chain as possible (procurement, inventory control, warehousing, transportation) even if they don't seem too exciting at the beginning. Also, they should get involved early in professional associations like NASSTRAC and CSCMP. It is never easy for a big company to transform a noncore function into a core discipline, especially when the status quo has held for decades. But that's what FedEx Corp. did in 2013, when it recognized that global strategic sourcing and procurement was central to its overall success and that the function needed to be centralized to most effectively support its business units. 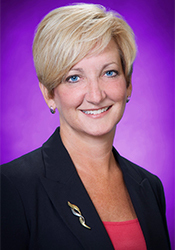 It created the position of vice president, sourcing and procurement for FedEx Services, and recruited Susan Spence to run the new operation. Spence came highly credentialed, arriving at FedEx with 28 years of experience at industrial giant United Technologies, where she was the parent's director of supply management and held various high-level posts at the company's massive aerospace division. Today, she oversees about $13 billion worth of annual FedEx spending in its operational and services categories, and manages procurement compliance, systems, and policies at the Memphis, Tenn.-based company. Q: Describe your role within the FedEx ecosystem. A: My team is responsible for global strategic sourcing and procurement operations, strategies, policies, and systems for everything FedEx buys, with the exception of aircraft, aircraft engines, avionics, and a few other categories that are handled separately. Q: Did your roles at United Technologies prepare you for the FedEx environment? Were there significant differences that you had to adjust to? A: My role at United Technologies definitely prepared me for life at FedEx, especially when it came to managing risk in the supply chain and understanding the value of holistic category management versus the tactical nature of procurement. I have received unwavering support from our senior leadership team all the way up to our chairman, Frederick W. Smith. When I joined in 2013 and laid out our transformation plan, which would take four to five years to come to fruition, the only question my senior leadership team asked was "How can we help you realize this vision?" I think that says a lot about a company and its leadership. Q: There has been debate over the past few years about the role of a shipper's procurement department in motor carrier negotiations and relationships. Some have said procurement folks are just concerned with the lowest rates and don't fully grasp the nuances of a shipper-carrier relationship. As a procurement professional, what is your opinion on that issue? A: FedEx has a unique perspective because not only are we a transportation services company, but we also purchase transportation for the routes our own network doesn't cover. We work closely with operations stakeholders to understand what the right market price is, and we recognize the value of quality and service. We keep the total cost of ownership in mind, and we have a sophisticated model in place to make the right decisions in negotiations and to effectively manage relationships with our suppliers. Q: Compliance is one of your responsibilities. What is your biggest day-to-day challenge in this arena? A: My team does a very good job at compliance. Still, one of the challenges is that "you don't know what you don't know." There is no easy way to perfectly measure all things related to compliance. We continue to develop measurement systems and tools to address those issues that can pose risk for us. We benchmark our processes with respected peers to ensure we flush out issues before they become major problems. A: One of my proudest achievements is the move I made five years ago. After 28 years with United Technologies, I left to join FedEx as an officer, an opportunity that rarely arises given the company's "promote from within" philosophy. FedEx aimed to build a centralized sourcing and procurement team, and it created the position that would lead that organization. For me, it was a big move—a new company, a new culture, a new region and state—at the same time my youngest child left for college. It meant taking a chance and putting both my professional and personal comfort zones on the line for something I knew could be quite remarkable. Feedback: What did you think of this article? We'd like to hear from you. DC VELOCITY is committed to accuracy and clarity in the delivery of important and useful logistics and supply chain news and information. If you find anything in DC VELOCITY you feel is inaccurate or warrants further explanation, please ?Subject=Feedback - : The Rainmakers">contact Chief Editor David Maloney. All comments are eligible for publication in the letters section of DC VELOCITY magazine. Please include you name and the name of the company or organization your work for.